So how does stress affect your relationships? First, let’s look at the definition of stress. Stress is a state of mental or emotional strain or tension resulting from adverse or demanding circumstances. If you break apart the definition you can find the root of why stress affects your relationships. Any time you are under extra strain, whether emotional or mental, or you are experiencing an increase in difficulties in your life circumstances, you will feel a commensurate increase in your stress level. Love is, at it’s best, a form of sensory openness. Stress, on the other hand, is the opposite. It is a from of sensory overload and shutdown. So how does this play out in your relationships? Well, lets’ first consider how stress plays out in our bodies. When our stress is on the rise, think of how your body reacts? What physiological changes does your body go through? Your heart rate increases, your breathing become shallow and more frequent. Your ability to think is diminished, your ability to process sensory stimuli like hot and cold is decreased. Your vision and your hearing, while they appear to have increased, they really are more like a tunnel. You become task oriented, like you’re putting out fires. You may become wired but tired, have lack of sleep, feel more irritable, and feel like the smallest thing that goes wrong is like the world ending. You’ve moved from a love focus to a stress focus. From flow to resistance. So ask yourself, can you feel stress and connection at the same time? What about passion? 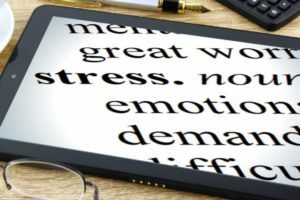 How Does Stress Affect Relationships? If you are starting your relationship with a healthy focus upon each other and stress begins to play a part, you’ll notice that your attention and focus will shift to the stressor. This shift in attention shows up first in your ability to communicate. When you are under a lot of stress your ability to hear and communicate well has decreased. Your focus has also shifted from positive communication to a more negative approach. Impaired cognition happens early on also. Your ability to think logically decreases as you become distracted by the stressor. Making healthy judgement calls becomes increasingly more difficult because you are consumed with details and you are unable to make discerning choices. Active or attentive listening skills diminish as your thinking is focused more and more on what needs to get done. 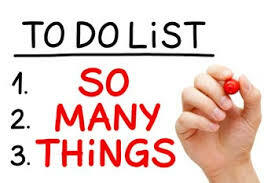 Thoughts become scrambled as you struggle to juggle everything going on at one time. Recalling important dates, events, appointments, errands, and such becomes increasingly difficult. Can you imaging being so stressed out that you forget an anniversary or a birthday? These reactions can leave a partner feeling hurt, offended, or even worse; rejected. Experiencing this enough times can cause a serious breach in the emotional intimacy that is the foundation of your relationship. Loosing emotional connection as you drift farther and farther apart can be incredibly painful and debilitating to the relationship. So how do you maintain a connection with your spouse? Stress management is a great way to remain calm, cool, and collected in today’s world. It will benefit your relationship, as well, by keeping you connected with your partner. Consider creating a stress management game plan for yourself. The key piece in this game plan is going to be self care. What self care activities help you feel more calm and relaxed? Consider working out, Reiki sessions, a yoga therapist, deep breathing, meditation, massage, detox baths, shooting hoops. Read more about self care here. Encourage your partner to relax also. Help them to de-stress by allowing them alone time where necessary, encourage their self care routines, encourage them to spend time with friends. Also create a game plan for the relationship to manage stress. Identify each other’s stress triggers, help each other identify negative thought patterns and communication patterns. Work together to create and maintain a soothing environment for each other, draw a bath for your partner, cook their favorite meal, help them feel cared for. Most importantly, work together to create a game plan to reduce reactivity such as major arguments or “blow out” fights. Relationship coaching is a great way to decrease stress. Things like Individual sessions or especially Vent Sessions help to de-stress and gain perspective. Click here to learn more. Take time to breathe and deeply reflect. Remember how sweet it is to touch and be touched. Offer gratitude to each other. Prioritize commitment: spend time together and be each other’s defenders. Ask yourself What will your relationship look like in one month (and in six months) if you don’t prioritize time with your partner? What are the advantages of putting your partnership first, and what are the disadvantages? JoyWork Suggestion: Spend time identifying your triggers and creating a game plan to deal with your stressors. Prioritize reconnecting with your partner on a daily basis. Let me know how you’re doing on the Accelerated JoyWorks Facebook page or in the comments below. This entry was posted in Self-Care, Stress and tagged Challenges, Communication, Connection, Emotional Intimacy, Relationships, Stress, Well-being. Bookmark the permalink. Thank you so much for sharing! It’s so important to keep calm in our relationships. Stress can wreak havoc, if we’re not careful.